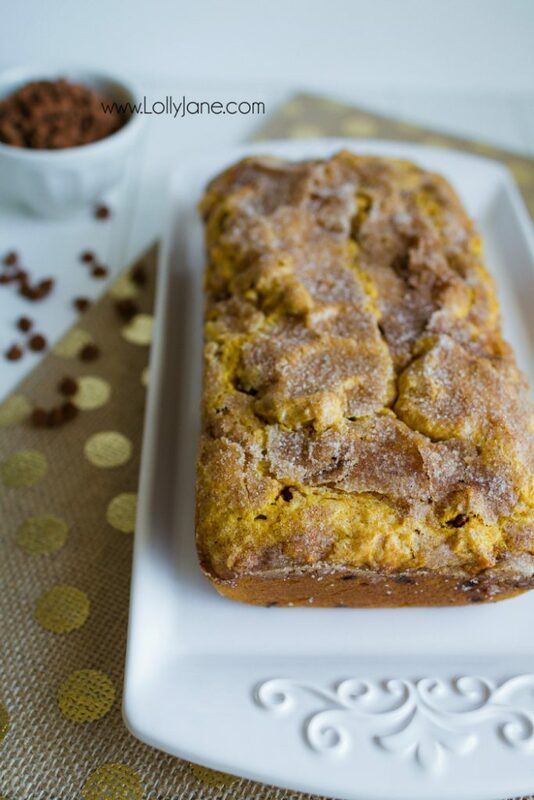 I’m so excited to share this amazing Pumpkin Snickerdoodle Bread recipe I created by altering two separate recipes. It’s so good! Moist and flavorful, it’s my new go-to recipe for neighbors! Cream butter, sugars, cinnamon and pumpkin. Add eggs and mix lightly. Add vanilla and sour cream, mix well. Mix in the rest of the dry ingredients and stir just until combined. Separate into 2 full size loaf pans. Mix 3 tb sugar and 3 tsp cinnamon and sprinkle generously over the batter in each loaf pan. Bake at 350 for 40 minutes or until toothpick comes out clean. I hope you like this recipe as much as my family and I did! Leave a comment if you try this and let me know how it turns out!! Please pin so your friends can try it too! 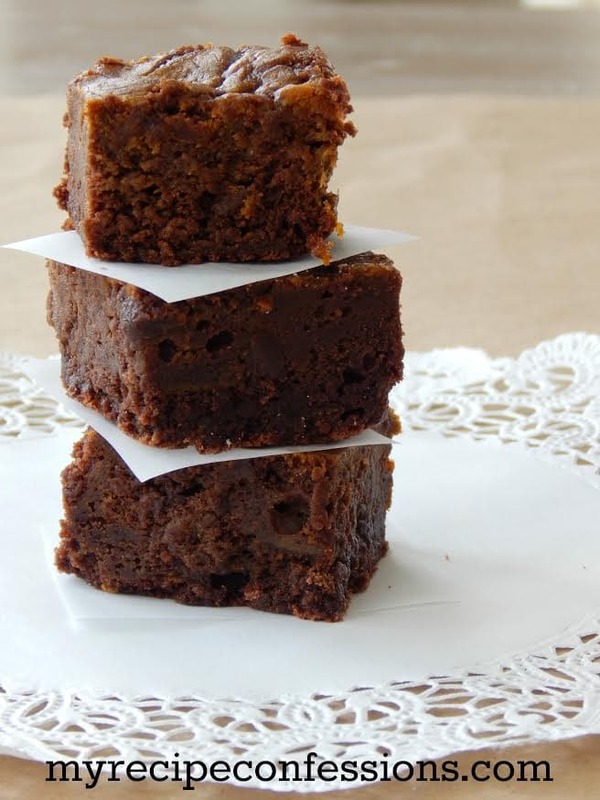 and these tasty Pumpkin Brownies, mmm! 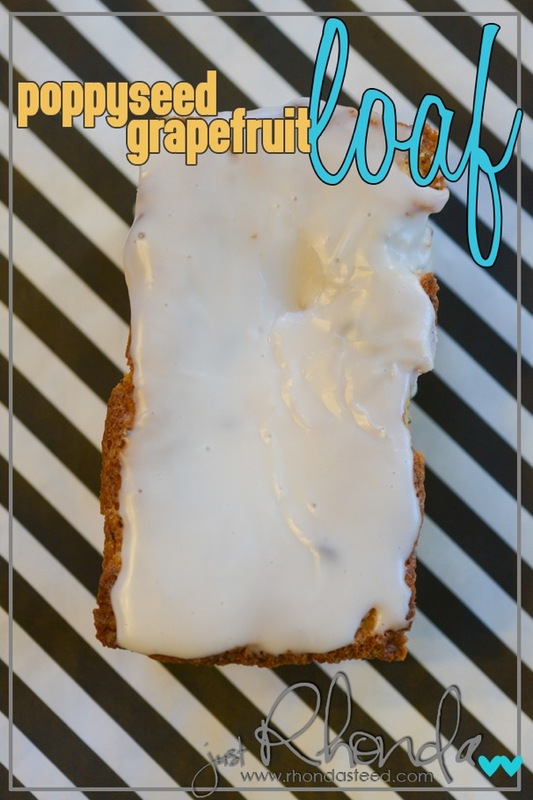 and this yummy Poppyseed Grapefruit Loaf, mmm! Pumpkin and cinnamon chips are a perfect match. 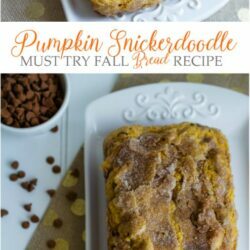 I made Pumpkin Cinnamon Bread muffins last year at this time, adding the snickerdoodle topping is a great idea. 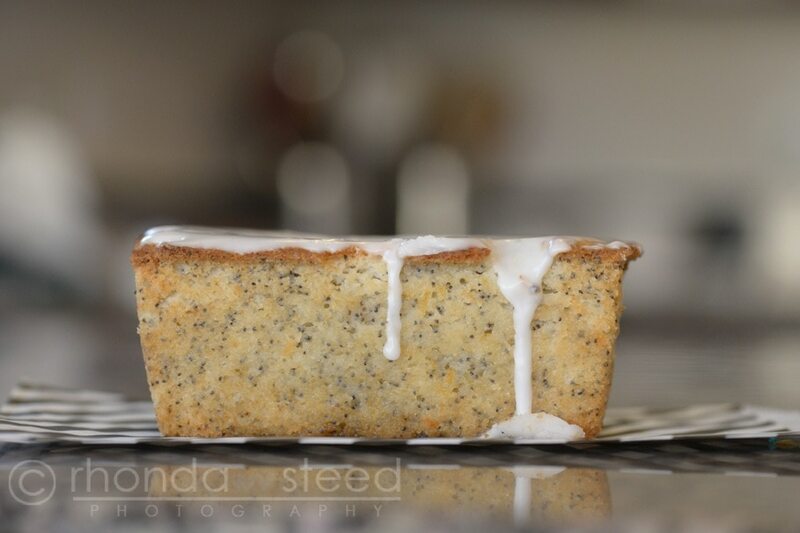 So fun to see the different ways people are adapting my Snickerdoodle bread recipe. It looks delicious! This really does look fabulous, plus I just picked up some cinnamon chips at the store! Perfect timing. 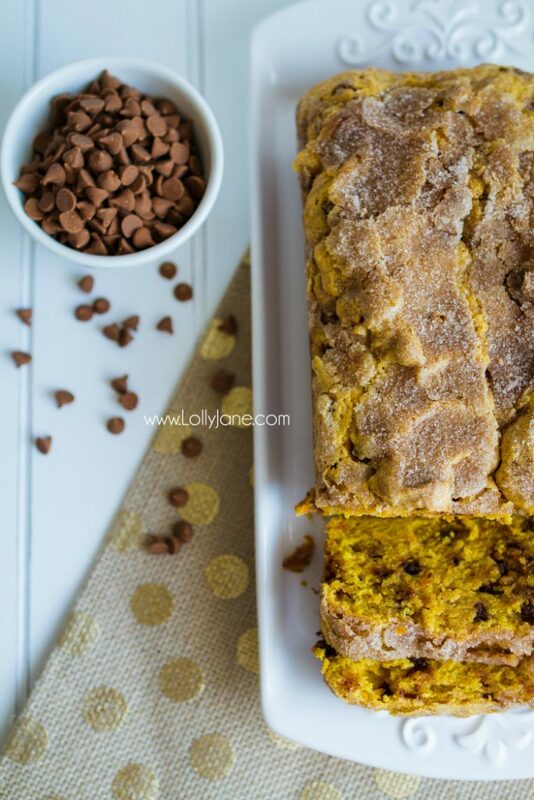 Your Pumpkin Snickerdoodle Bread recipe looks amazing!! I thinking of using it as a base for a trifle for Thanksgiving, adding a simple cream cheese frosting (butter, sugar, cream cheese and vanilla) and perhaps whipped cream on top. Since I haven’t yet tried the bread, what do you think? Thanks! Would like to know the brand of that ceramic loaf pan?! I’m in love with it! 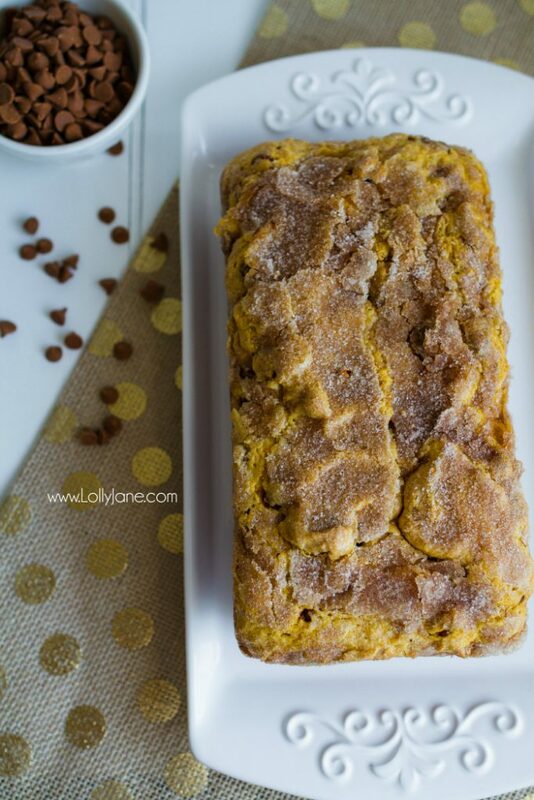 Your Pumpkin Snickerdoodle Bread looks amazing! Thanks so much for sharing with us at Full Plate Thursday. Hope you have a great week and come back to see us real soon! This loaf looks amazing. I bet the texture is out of this world. Pinning. 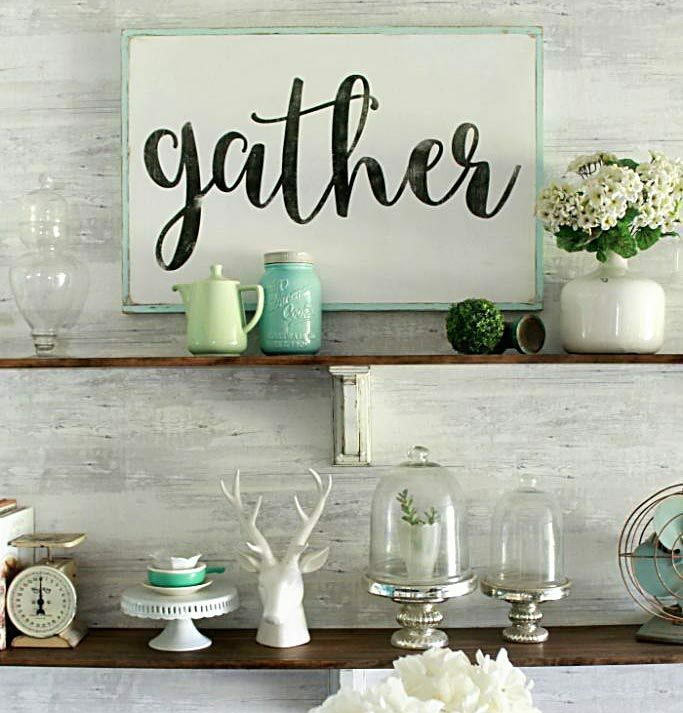 Your post is featured on The Top Ten for Full Plate Thursday and pinned it to our features board. Thanks so much for sharing with us and enjoy your new Red Plate! Yum!! 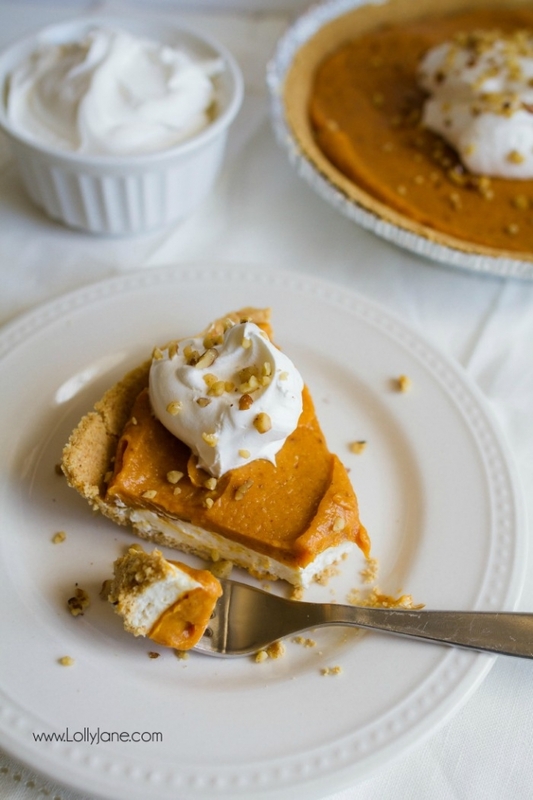 I’ve always loved snickerdoodle cookies and the combination with pumpkin sounds fantastic. Thank you for sharing. I’m pinning. Oh girl this bread is YUMMY, I hope you win!! 🙂 We used a standard loaf pan (The standard large loaf pan size is about 9 inches long by 5 inches wide by 3 inches deep).